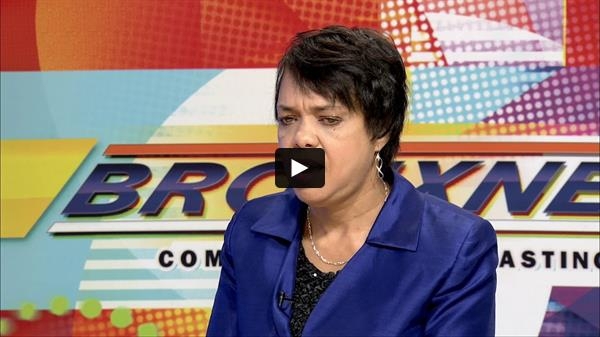 On October 6, community engagement policy analyst Paulette Spencer appeared on BronxNet's OPEN to promote the benefit concert, and to discuss BCHN's programs and services. Watch below. 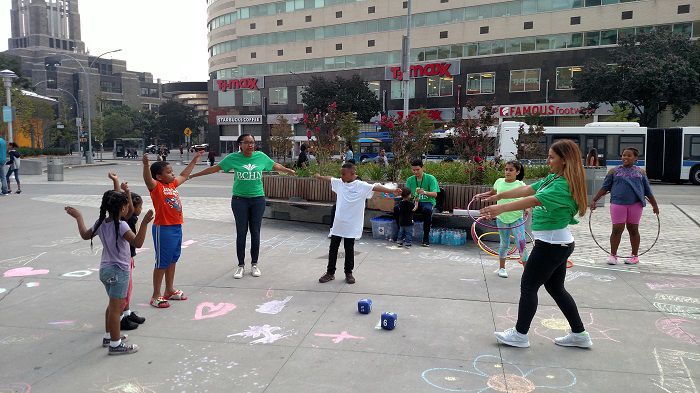 BCHN's annual health and wellness fair was held on September 16 at Fordham Plaza. The event featured free health screenings, activities, art, games and music. Check out more photos from this year's health and wellness fair below. Much fun was had throughout the day in the Kids Zone. 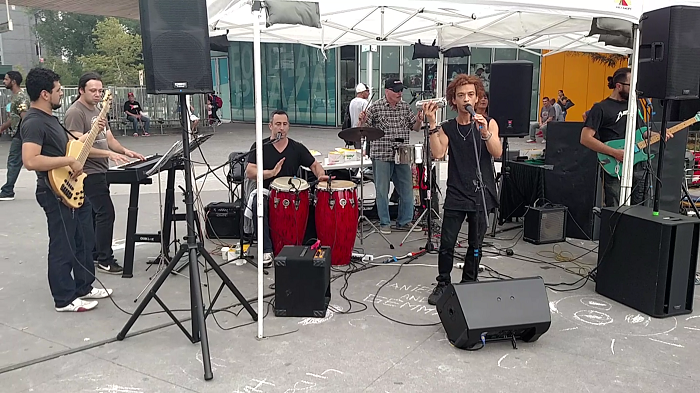 This year's event featured a performance by salsa band Grupo Descarrilao. 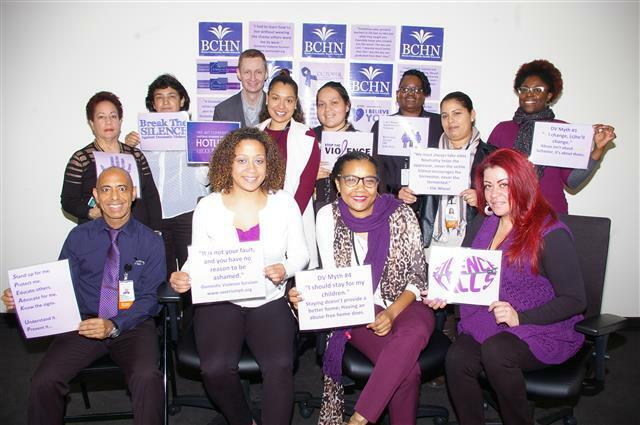 BCHN employees wore purple earlier this month in honor of Domestic Violence Awareness Month. Domestic Violence Awareness Month was launched nationwide in October 1987 as a way to connect and unite individuals and organizations working on domestic violence issues and raise awareness for those issues. On October 19, Comprehensive Family Care Center (CFCC) hosted a successful CFCC had a successful Domestic Violence Awareness Day. 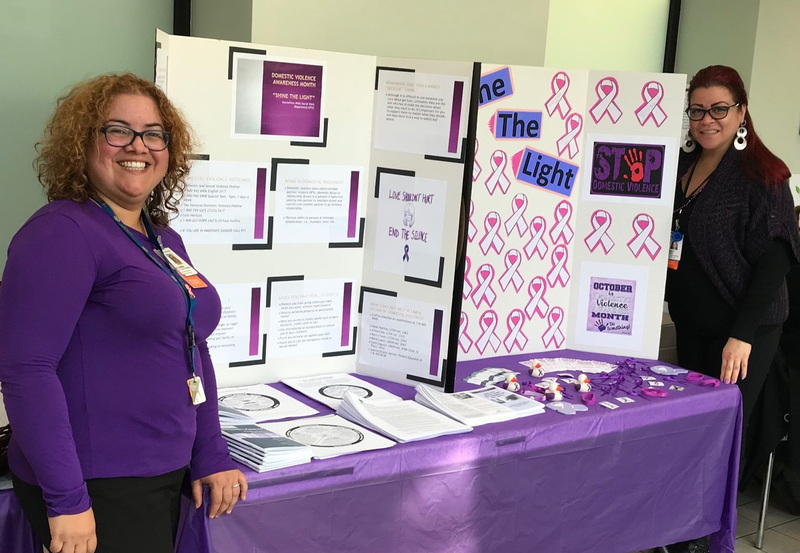 Montefiore patient educator Joanna Ocasio-Janvier and BCHN community health worker Jessica Castro (pictured above) were on hand to discuss domestic violence with patients, while Montefiore health educator Claire Garon made healthy purple smoothies. The Fordham Plaza Farmers Market takes place every Wednesday from 8:00 AM to 4:00 PM. 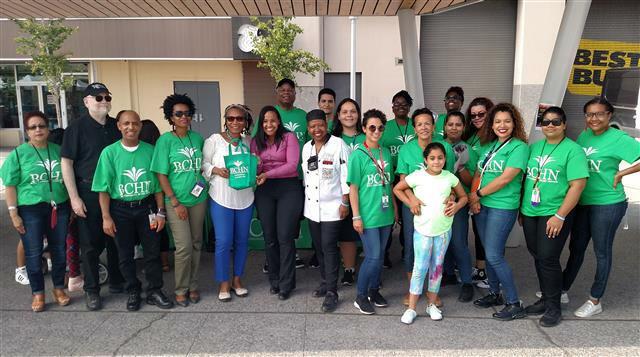 BCHN began participating each week starting October 18, offering free healthy eating demonstrations, naloxone education and training, and assistance with health insurance and getting connected with a primary care physician. 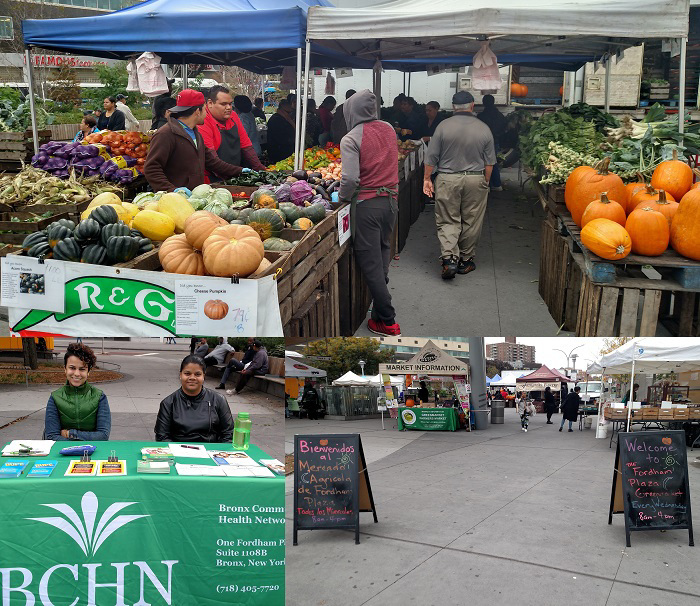 Coming up on November 1, the BCHN team will be at the Fordham Farmers Market from 9:00 AM to 12:00 PM. Chef Wilson will provide tips and recipes for a healthy diet. BCHN's community health promotion and education team will also provide free blood pressure screenings, and help connect community members to health insurance and a doctor. 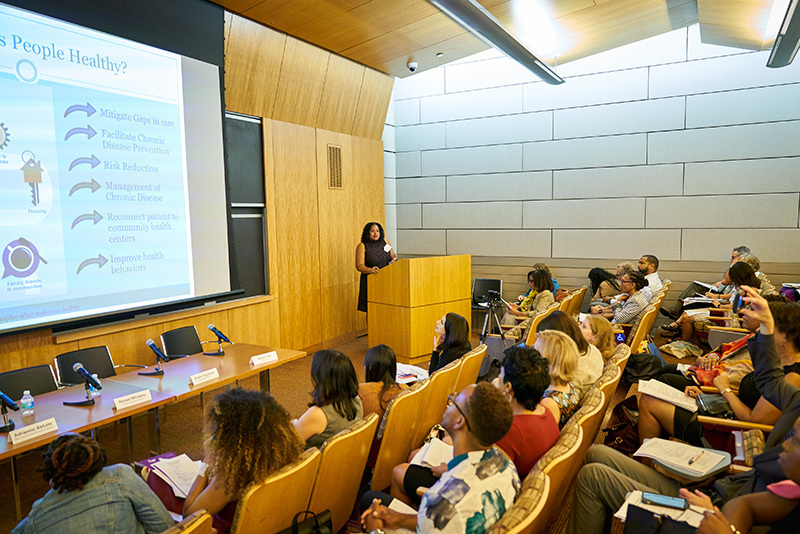 BCHN and the three other New York City grantees of the Center for Disease Control and Prevention's Racial and Ethnic Approaches to Community Health (REACH) and Partnerships to Improve Community Health (PICH) programs came together on September 26 for the "Community Transformation through Partnership" symposium. The event featured stakeholders from community-based organizations, health, policy makers and advocates, nonprofit groups, academic institutions and governmental agencies across the country. 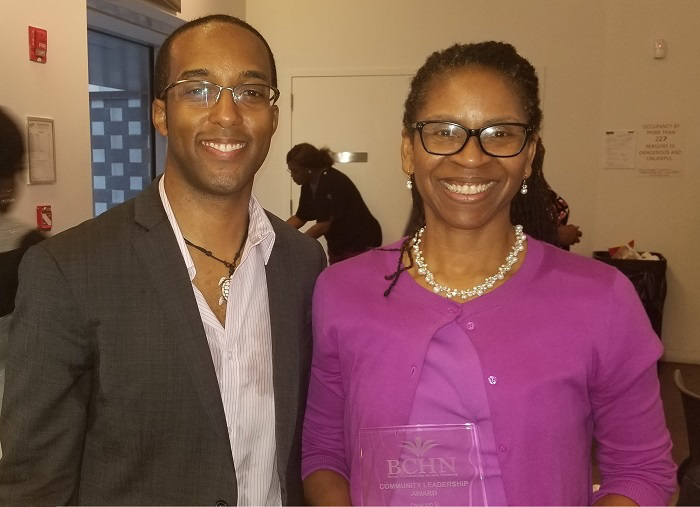 The symposium was organized and co-hosted by BCHN, the Center for the Study of Asian American Health at NYU School of Medicine’s Department of Population Health, Institute for Family Health Bronx Health REACH, and the NYC Department of Health & Mental Hygiene. 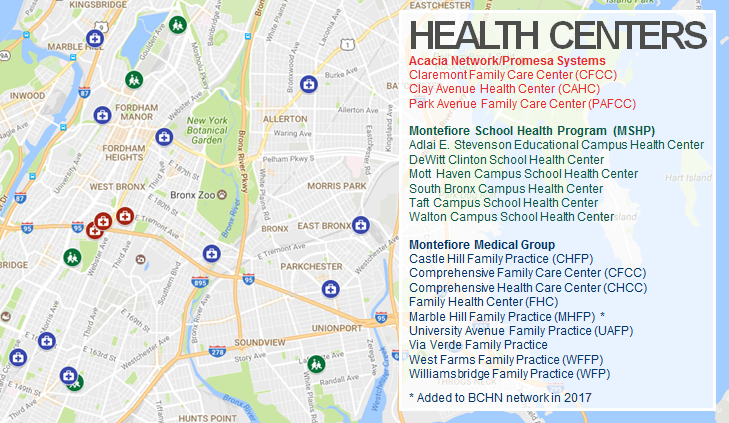 Picture above, community health programs developer Renee Whiskey shared BCHN's successful model of integrating community health workers into the primary care teams at the health centers in our network. 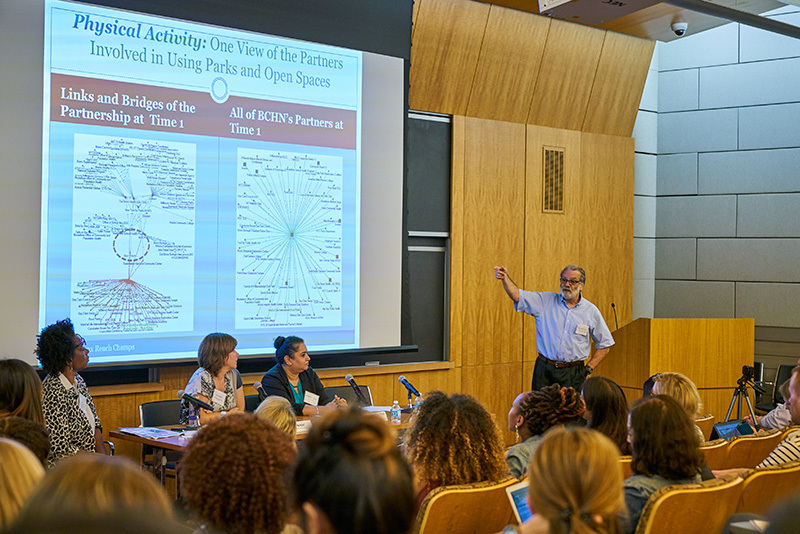 Pictured above, Arthur E. Blank, PhD, presented exploratory work on using social network analysis (SNA) to document the growth and reach of the BCHN-led Bronx REACH Champs coalition. 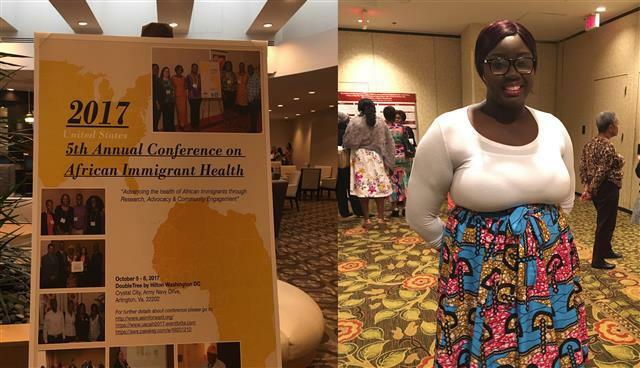 BCHN community health workers Ndeye NGom-Mbacke (pictured above) and Yaritza Holguin, and emergency department liaison Krismely Garcia traveled to Washington, D.C. for the 5th United States Conference on African Immigrant Health, held October 5-8. This year’s conference theme was "Advancing the Health of Africans Immigrants through Research, Advocacy and Community Engagement." African immigrants are a growing population in the United States, estimated at 2.1 million people, an increase of more than a million people since 2000. This group experiences a number of health disparities, including hepatitis B and hepatitis C, and can benefit from culturally competent and linguistically appropriate health care services. 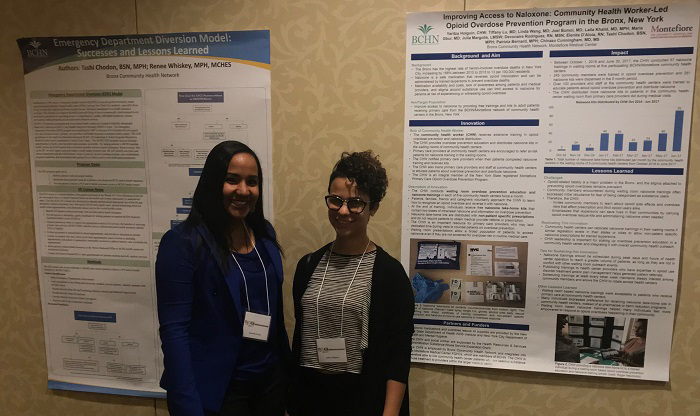 Pictured above, Krismely Garcia presented BCHN's Emergency Department Diversion Model, while Yaritza Holguin shared the organization's success in improving access to naloxone.